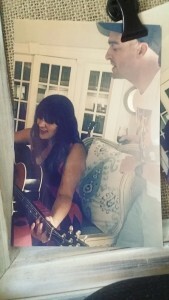 Recently I got together with a good friend of mine to do a “worship jam”. We both had been feeling like there was more we wanted to experience with Jesus through music. 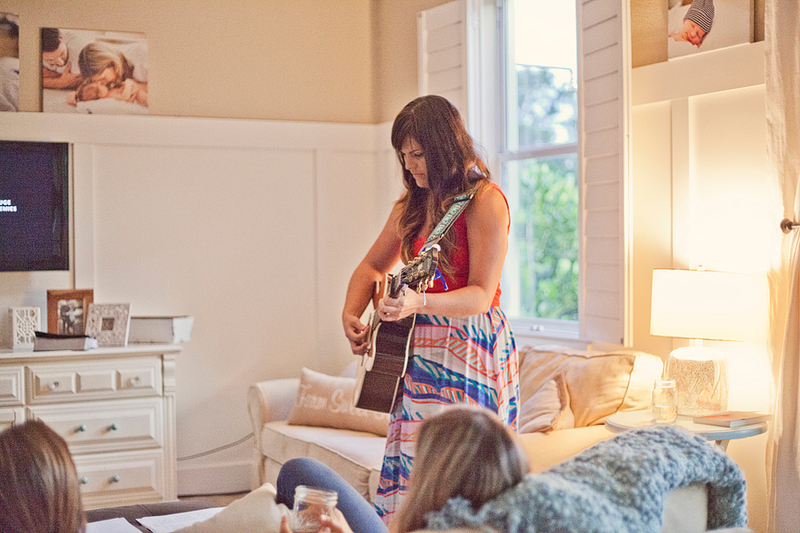 A few songs on Sunday morning is great, but twice as many songs is even better. I love getting lost in singing to God. That must make me sound super spiritual, or like a giant hippie. So, I wasn’t exactly the popular kid in high school. 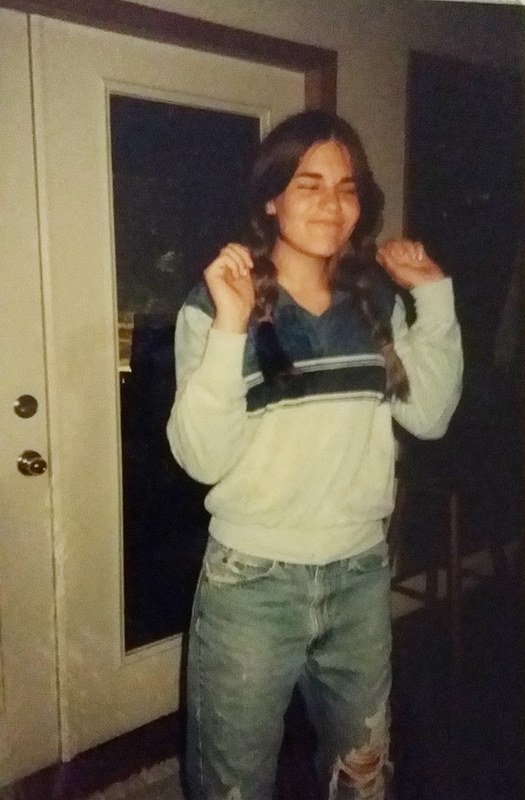 I was pretty insecure and desperate to fit in, like, oh, pretty much ever other teenager in the history of ever (something I now know for sure as a therapist of teens). Only thing is, you don’t KNOW that then. Darn! As I’m sure you’re aware, your external appearance is of utmost importance at this stage of life. Thing is, we didn’t have the money to dress me in Bongo Jeans and Tommy Hilfiger polo shirts. And as much as I would have loved to have a pair of shiny new Nikes or maybe some fresh white Keds every few months, we just couldn’t do that. Even though I was kind of bummed that I didn’t have a hunter green suede jacket like every other girl in my class, I knew better than to ask for one. 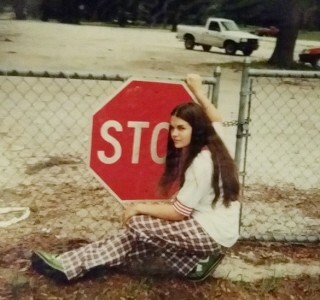 that’s me, in my old man pants, with my pleather apple green shoes, and some strange old sports shirt being REALLY COOL next to a stop sign. more of my old man style mixed with “these pants look really loved”. i was totally an original hipster. Then again, I wasn’t one of those kids that just rolled over and accepted that I had to wear whatever my Mom found on sale at KMart. I took matters into my own hands, decided I liked the hippie vibe, and scoured my local thrift store (the Boys Ranch Opportunity Store) for bell-bottoms, old men’s polyester polo shirts, and strangely patterned men’s golf pants. The weirder, the better. I got my Dad (I think, ok, probably my step-mom) to buy me a pair of apple green patent leather shoes, and I wore them. Every. Day. I felt pretty awesome. Identity development is one of the biggest milestones of the teenage years. Even though I wanted to be accepted by everyone (and let’s face it, it seems like the easiest way to do that is to be like everyone else), I knew I couldn’t be. The kids at school would have made fun of me if I was wearing Kmart or if I was wearing my old-man clothes, but at least this way it was my choice. At least I had some self-respect, because it felt like my decision, not something that was forced on me (I wasn’t mature enough at the time to realize I could change my attitude about any clothing, but hey, it worked). At the same time I decided I wasn’t just going to settle and not “be me”, I was also experiencing the transforming of my mind and heart by the Holy Spirit. I was becoming a disciple and I was fellowshipping with other believers at church retreats and summer camps. I never heard any of that petty, “Where did you get that shirt?” crap there. People were just… nicer. I mean, most of them were. Beyond that, I was welcomed to explore other parts of myself that I had previously been too shy, or afraid of rejection, more like it, to check into before. I joined in the singing. I sang a little louder. I asked for help learning the guitar. Instead of being scoffed at, I received help. My hope began to build that I had something of worth to offer, and it didn’t matter what I wore. 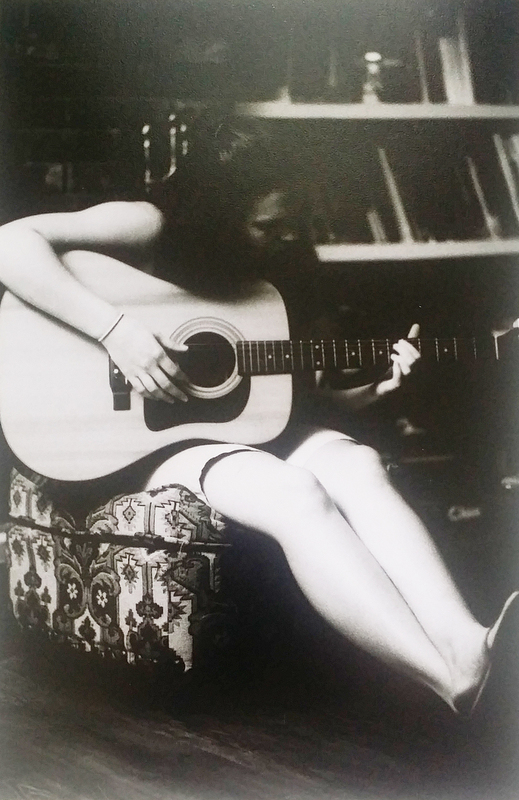 I got my first guitar in 9th grade. It was a Lotus electric guitar and it came with an amp and four strings. I got a book of chords and practiced on those until my neighbor up the dirt road helped me put on a new set and taught me how to tune the dang thing. I spent all summer practicing chords. 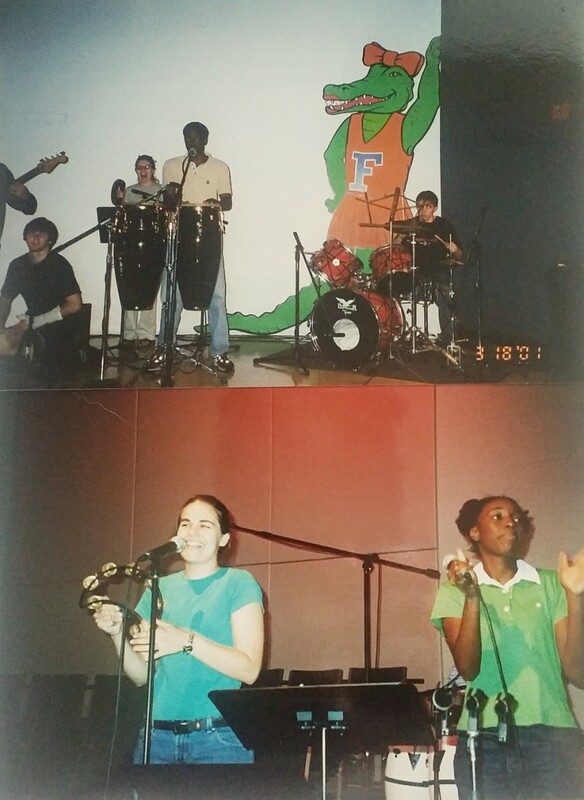 In high school, I was playing every chance I could. 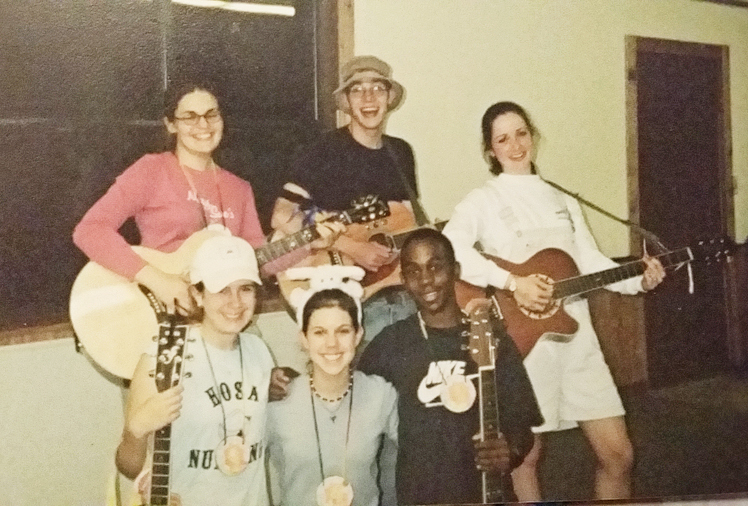 I just wanted to sing and lead songs at FCA and camp and Happening and church. I even brought my guitar with me on our mission trip to Cuba. I felt useful. I made a difference. This became a huge part of my identity; I am a worshipper through music and I lead people. It happened to me as God gently guided me through the rest of my high school years. 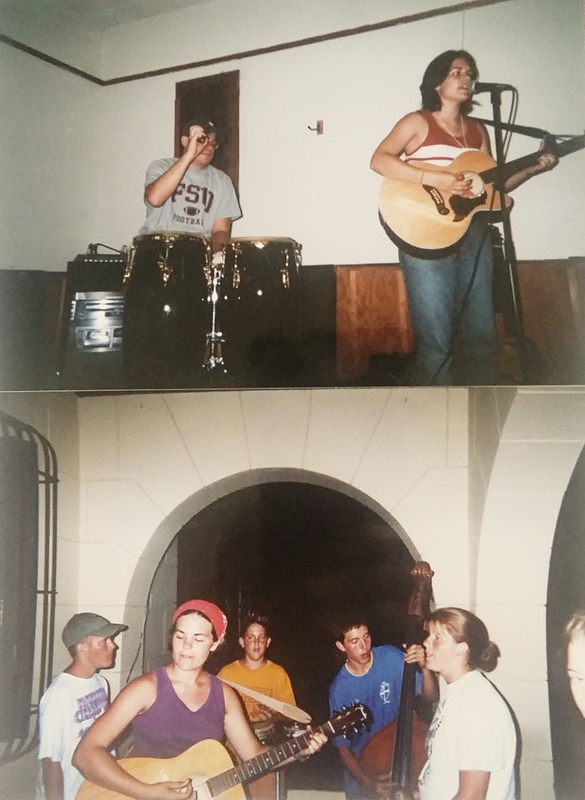 I joined a worship band as soon as I could when I got to college. It wasn’t like I planned it though. It was like I was a magnet for other musician personality-types who also loved Jesus. Maybe it was those red plaid pants that I finally retired sometime mid-freshman year, but whatever it was, suddenly I had a network of people who loved this and felt it all as strongly as I did. I transitioned from hanging out in stairwells singing (because, dude, those acoustics are mad awesome! 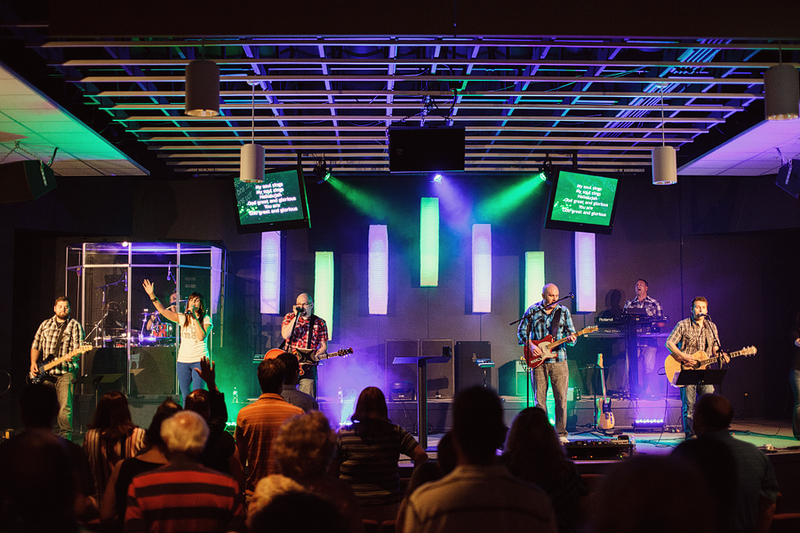 ), to leading music at home groups, to singing on stage at our large on-campus church, to being a main worship vocalist at a summer leadership program. That’s when I first felt I had some understanding and yet was also blindsided by the enigma that is “being on stage”. I remember watching the girls before me and thinking, “They’re so great and probably everyone knows them and they’re popular and they wouldn’t be interested in talking to me…they’re surely too busy with all of the millions of friends they definitely probably have.” It seemed like everyone knew them, so they became unapproachable to me. Once I got on stage, the same thing happened to me. It got a little lonely. You always have your team that knows you’re not a diva and that you belch in the middle of music sets (just during practice, don’t worry! ), but it just felt, weird. Set apart, and not in a good way. In my adult life, I’ve only done a little on the official worship band side of things. It’s been fun and fulfilling at times, but I just can’t escape that desire that comes from the deepest core part of my identity. It was developed in my hippie stage, and I just don’t want to let it go. It’s the desire to be in community, accepting and loving one another, gathered together on the same level, with no one to look up to but Jesus. Beautifully written. Love that you are who you are and am so grateful to be YOUR friend. I have always thought you were awesome! Loved reading this. Love you! Sure you remember me, AJ.